In this July 8, 2018, file photo, a Juul Labs Inc. e-cigarette is charged on a laptop computer next to flavored pods in this arranged photograph taken in the Brooklyn Borough of New York. Juul has a new program to pitch its e-cigarette to companies and insurers who want to help their employees stop smoking cigarettes as the company continues to stave off criticism that its product has caused an epidemic in teen smoking. CNBC has learned that the company hired former Cardinal Health executive Douglas Roberts in the fall to lead its new “enterprise markets team,” which is focused on striking deals with health plans, providers, self-insured employers and the public sector. The team now includes 17 employees, Roberts told CNBC. In an interview, Roberts said he decided to take the job with Juul because it was clear to him that large hospitals across the country were looking at ways to make a big impact across their patient population and the role felt like a “natural opportunity” to do that. He has spent the past few months meeting with potential customers, including large employers in the private and public sector, though he declined to name them. “It’s pretty consistent what we’re hearing, which is what’s out there today is not working, and people are really looking to get their arms around how do they provide alternatives to large groups and large masses of people who really haven’t had effective alternatives,” he said. Roberts said it’s still early, but Juul is planning to design a program to help smokers switch from combustible cigarettes to e-cigarettes. 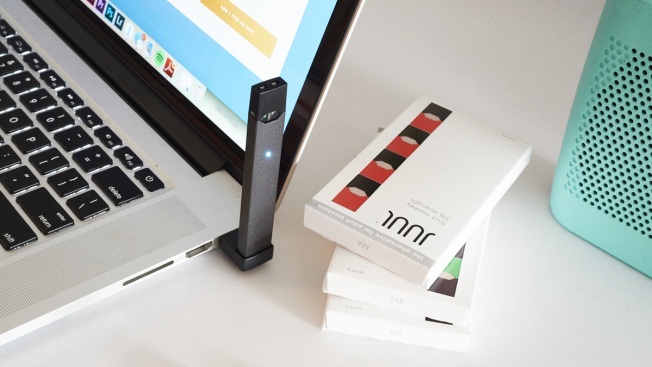 He acknowledged that Juul’s device has not been evaluated as a smoking cessation tool and therefore can’t market itself as one like nicotine gums or patches. Juul said its program will involve sending a survey to identify eligible participants, creating a unique website where participants can sign up and buy discounted devices and nicotine pods and offering coaching and other support like educational articles and instructional videos. The company has seen its fair share of criticism since introducing its vapes and fruity nicotine pods in 2015. Outgoing Food and Drug Administration Commissioner Scott Gottlieb has blamed the teen vaping epidemic on Juul. The company over the past year has tried to overhaul its image and prove that it’s really a health-focused company that wants to “improve the lives of the world’s one billion adult smokers by eliminating cigarettes,” as its website claims. Smoking-related illness in the U.S. costs more than $300 billion between direct medical costs and lost productivity, according to the Centers for Disease Control and Prevention. Employers footing the bills are searching for ways to get their employees to give up cigarettes. Of adult smokers who try to quit, just about 7.4 percent succeed, according to CDC survey data. E-cigarettes are billed as a way for people to get their nicotine fix without all the harm that comes with inhaling burned tobacco. The United Kingdom has aggressively encouraged smokers to switch to the devices, citing research showing they’re significantly less riskier than combustible cigarettes. But doctors and health experts in the U.S. have been wary of recommending people switch to the devices, citing the unknown long-term risks. Juul is hoping to sway its critics. It has started presenting results from clinical trials and publishing research in peer-reviewed journals. “Many employers have embraced cessation as a benefit as it’s one of the top areas where they repeat benefits for employees,” said Wende Hutton, a general partner at Canaan and investor in Chrono Therapeutics, a company developing a digital nicotine replacement therapy. "And employees who smoke and are able to quit see health impacts very quickly." But not everyone is convinced that employers will bite. “I don’t think they want solutions that’ll move employees from smoking to e-cigarettes,” said Brian Marcotte, president and CEO of the National Business Group on Health, which represents large employers. Marcotte also said that while smoking cessation programs are important, and many employers already offer one, so finding alternatives isn’t a top priority. Employers are more focused on curbing pharmacy costs and finding support for workers’ mental health, he said. Juul will also need to change minds that its e-cigarettes can actually be helpful. Taking a $12.8 billion investment from Altria, the maker of Marlboro cigarettes might hurt Juul’s credibility. Although Juul might soon sell more than e-cigarettes and introduce other products like nicotine gum and counseling services. The company has not announced any partnerships so far, though it’s in active conversations with private and public employers and multiple large veterans organizations.